As I mentioned before and throughout the night on my Twitter, on Thursday night I attended a free concert featuring The Donnas, Pat Benatar and Blondie -- which put me into rock 'n' roll chick overload in a very good way. It was a very good reminder of just how good 80's power pop was, and the mere fact that I got to see Pat and Debbie in the same night for free is just magical. The Donnas only played a super short 4-song set, which upset me a little bit. I'm not super familiar with their "newer" material, but I do own Spend the Night, so I was happy they closed with "Take It Off." That record made me briefly want to start my own chick band. Then I realized I can't play a rock instrument. That's kind of crucial. After The Donnas, Pat took the stage. I've seen her once before a few years back in a smaller theatre when she was the headliner. I was super stoked until during the concert I realized how much she caters to her husband, Neil Giraldo. When I think of Pat Benatar, I think of classic 80's girl power, so when you find out her husband has written a lot of her material and hogs a lot of stage time with his arbitrary guitar solos, it's a little disheartening. Luckily, this time 'round, Pat was on a time crunch as the concert was in a residential area, so she stuck to playing the hits and kept her husband's filibustering to a minimum. Her voice is more gravely than I recall the last time I saw her, and her hair is long. My favorite song of hers will always be this one, but I was particularly struck by her acoustical version of "In the Heat of the Night." 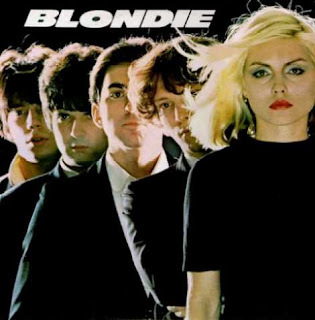 Finally, Blondie took the stage, and Debbie Harry came out kicking. Despite somewhat recently turning 64 years young, she kicked, flailed, rocked out and rapped with her cohorts for an hour long set that never lost momentum. They closed their set with their arguably most famous song, "Heart of Glass" (as seen in the video below from a live performance back in 1982), but toward the end, they surprisingly fused it with "Don't Stop Til You Get Enough" by the late Michael Jackson as a tribute. If it sounds like a strange pairing to you, I will say I would agree on paper -- but hearing it live, it just made sense. Here's the MJ part from the show that I saw. There was actually no video made for "In the Heat Of The Night" -- the one you've embedded is a mashup of the song with the video for "I'm Gonne Follow You." 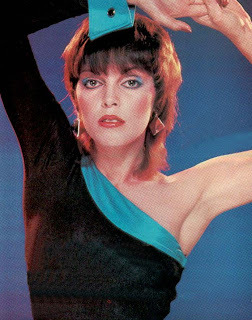 Benatar did not make any videos for the first album (not even for "Heartbreaker"), but made two ("You Better Run" and "I'm Gonna Follow You") for Crimes Of Passion.